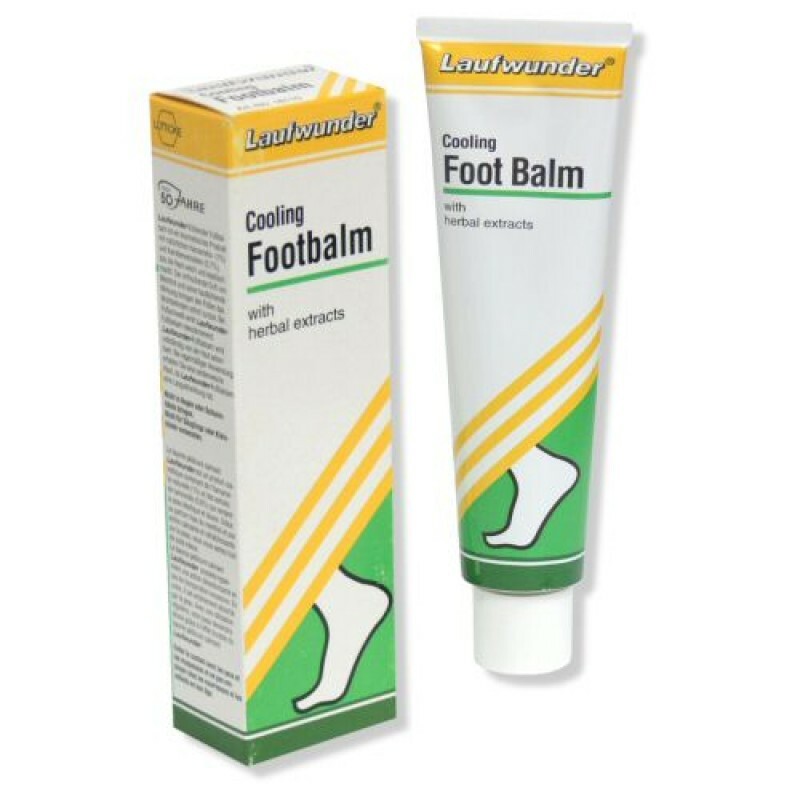 Laufwunder cooling foot balm contains natural extracts of Hamamelis and Chamomile to make your skin soft and supple. Its refreshing scent of Menthol gives the feet a cool, fresh sensation leaving them feeling comfortable and relieved. The balm also has a deodorizing effect. It is non greasy and easily absorbed into the skin leaving it silky smooth.